The Fauquier Wrestling team will be traveling to Liberty HS. for the Evergreen District tournament on Saturday, Feb. 2nd. For seven straight years since 2006, the flying Falcons have won the post season district title and along the way crowned numerous individual district champions. As the 2013 district tournament rolls into Bealeton VA, team Fauquier will be gearing up for another post season clash as the finals will give all a pre-punched ticket to the Regional tournament the following week. States is three weeks away as we will have to wait and hope that team Fauquier has enough steam to once again get kids to the state finals. Challenging moments for the Falcons!!! No gentle words can describe this year’s Evergreen District teams as foes Brentsville and Warren Co. HS. all have state ranked wrestlers embedded in each squad and they all are expecting to make their own run for the first place trophy. As the season ends and the post season starts, looking back you saw that Fauquier ended up going 2 and 2 in district play during the season. To assess it all, the 2013 district championship will be up for grabs. Losing by one point to Warren Co. on Jan. 2nd and three points to Brentsville seven days later may had been setbacks for the Falcons, but Coach Fisher took it as an opportunity for improvements in all areas of this young squad. Participating in the Elite Opener, Beast of the East, MMM, and the Virginia Duals would test any team as these high level wrestling events should aid in the common wrestlers post season skill set to be driven ready. Question: Now that the 2013 season is over and the team heads into the post season, any reflection and words on the 2013 season? Fisher: "This season has been one of my favorites. With so much youth on the team, it has been enjoyable seeing the huge gains so many of the kids have made in such a short period of time." Question: With the five freshmen and five sophomores that make-up this year’s squad, what does that mean to you and give them a grade? Fisher: "Although our record was not as impressive as it has been in the past, what I find amazing is that in every dual meet loss, we were one match away from winning it. Considering that we have had only 3 returning starters in our lineup much of the year, we have been really successful. I see improvement in all of them from week to week, and I think that bodes well for us going into districts." Question: In your third year as head coach of the Falcons, how important is it and what does it mean to you to win the Evergreen District tournament and improve on the current 7 straight district titles?..... No pressure right? Fisher: "There is definite pressure to win both the district and regional titles. We have significantly increased the quality of our schedule this year, and time after time, the guys have stepped up to the challenge. I have no doubt that although young; we are battle tested and ready to perform." Question: Looking forward to the district tournament what does team Fauquier need to do to once again capture and bring home the 2013 district title? Fisher: "We are going to need a full team effort. Some of the youngest guys must continue fighting every minute of every period as they have been doing the past couple weeks. Guys like Caleb Strum, Jake Hilleary, Garrett Tingen, Clifford Harris, Andrew Smith, Erick Lemus, Tyler Devers, and Thomas Palmer have been doing a great job all year and must continue working hard for every point. We also need our more elder wrestlers to take the leadership role and step up to the challenge before us. 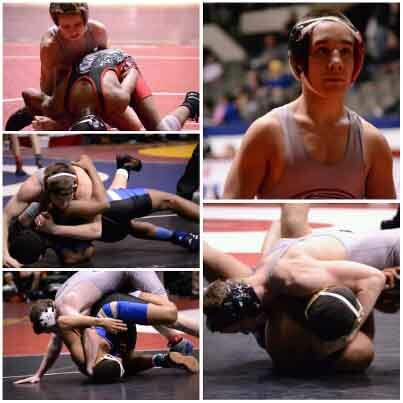 Daniel Ariola, Matt Raines, Michael Villalobos, Ben Brady, Max Strum and Justin Sanker have been the core set of our “seasoned” wrestlers, and they must embrace their responsibility as leaders and set that tone on the mat." Districts are where it starts for team Fauquier and the rest of the state. To qualify for the Regional tournament the top 3 and or 4 placement wrestlers from each weight class will get a chance to move onto the Region II tournament set for the following weekend at John Champe HS. In the Evergreen district 106-138lb weight classes will only qualify the top 3 wrestlers respectively while the 145-285lb classes will qualify 4 wrestlers to the regional tournament. Likewise to qualify for the states wrestlers will then need to place in the top 4 in Regions. Folks, don’t let this weekend be the last time you see the Falcons in action as they make their run towards Salem VA, and the STATE wrestling tournament. Pack your lunch and come out ready to cheer these young kids on this weekend and the following weekend at Regional’s. Below is the post season schedule. See you all on the corner of the mat.